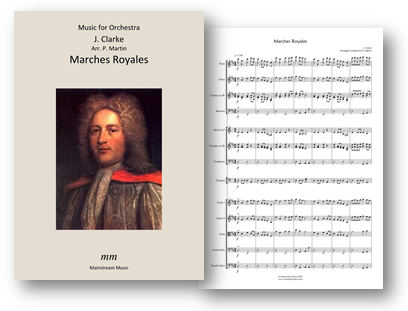 Two marches by Jeremiah Clarke, ‘King William’s March’ and ‘Prince Eugene’s March’, arranged for orchestra. The PDF also contains parts for trombone in Bb treble clef and violin III, doubling that of the viola. 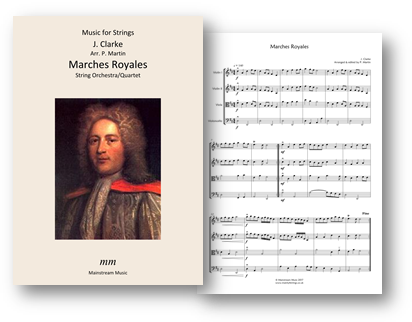 Two marches by Jeremiah Clarke, ‘King William’s March’ and ‘Prince Eugene’s March’, arranged for string orchestra/quartet. The PDF also contains parts violin III (doubling that of the viola) and double bass. Click on the images below to view and listen to each score.